Sign Up to be a Volunteer or Sponsor! Whether it’s a house or an apartment, maintaining a home requires lots of work: painting, cleaning, washing, and much more. Some jobs around the house may require the use of products that contain hazardous components. Be sure to dispose of household hazardous waste (HHW) materials properly. Household hazardous waste (HHW) includes leftover household chemicals that can catch fire, react, explode, be corrosive or toxic. Products such as paints, cleaners, oils, batteries, and pesticides can contain hazardous ingredients and must be kept out of traditional landfills to prevent pollution and risks to human health and safety. Household hazardous waste also includes automotive fluids, fertilizer, electronics, rechargeable batteries, insecticides, CFL light bulbs, pool chemicals and more. Certain types of HHW have the potential to cause physical injury to sanitation workers, contaminate septic tanks or wastewater treatment systems if poured down drains or toilets. Your locality provides safe household hazardous waste collection at no additional cost to residents. Dispose of household hazardous waste (HHW) properly. Look below for your Hazardous Waste Disposal Resource to learn when and where HHW is accepted in your locality. Store all products in the original container. All containers should be labeled and sealed. Household batteries may be recyclable or accepted as HHW. Vehicle products such as antifreeze, automotive batteries, automotive oil, brake & transmission fluid, car wax and gasoline should be labeled and recycled at a local auto parts store or household hazardous waste facility. Fats, oils and grease don’t belong in the drain. Small amounts of cooking grease can be cooled in a sealed container and tossed in the trash. Large quantities of cooking oil may be accepted for recycling or collected as HHW. Prescription drugs no longer used or expired should first be crushed and mixed with kitty litter or sawdust. Seal them in the original container and remove your personal information before depositing in the trash or drop them off at a drug take-back event/location. Latex paint can be safely disposed of in your trash can if you take the following steps. Please note: this ONLY APPLIES to latex (water based) paint! If the paint is old and dry, leave the lid off and dispose of it in your regular trash. If the paint is still a liquid, add kitty litter or other absorbent material such as sawdust or mulch, and stir until very thick and no longer runny. Once you’ve done this, you can leave the lid off and dispose of it in your regular trash. Buy and use only the amount needed for your project. Leftovers can be shared or donated. Use Earth-friendly products. Read product labels and select non-hazardous or less hazardous components that do the same job. 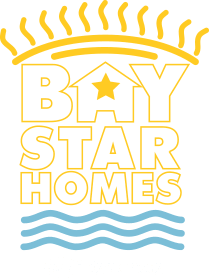 IS YOUR HOME OR BUSINESS A BAY STAR? We live in a beautiful region surrounded by water. It impacts everything from the food we eat to the fun we have as well as our economic livelihood. Our daily actions have a lasting impact and it's up to us to protect and restore our waterways. It takes a community of individuals making small changes to make a difference. Getting involved in the Bay Star programs is one way you can be part of the effort to protect our region's most defining natural resource, water.